MILL-MASTER SINE PLATES FOR MILLING MACHINES by Suburban Tool, Inc. Specifically designed for use on milling machines. Mounts directly to a machine table with standard t-bolts and nuts. Solid, class 35-40 cast iron construction. T-slots for 1/2" t-bolts or t-nuts in top plate for easy mounting of clamps or vises. 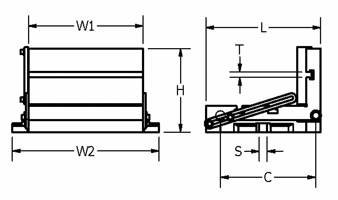 Includes edge rail for quick locating of a workpiece. 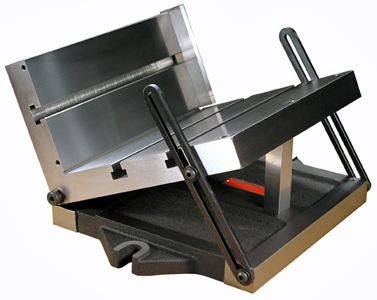 Can be used as standard angle plate in the closed position.